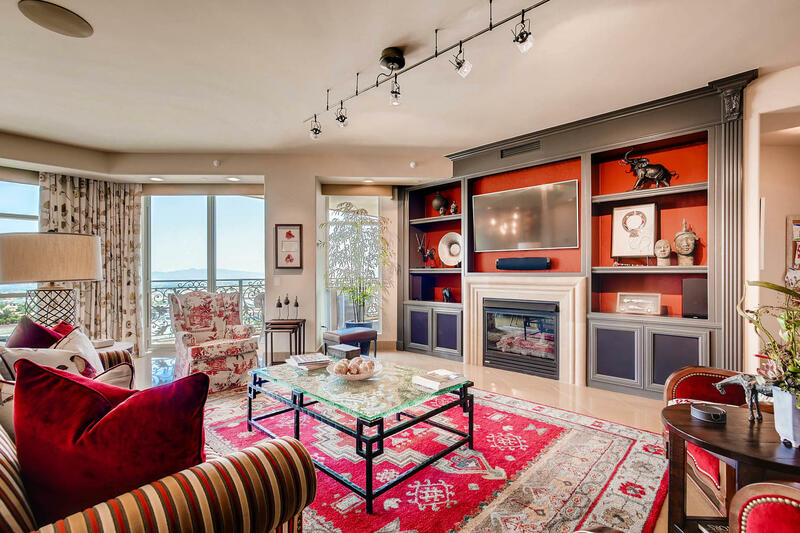 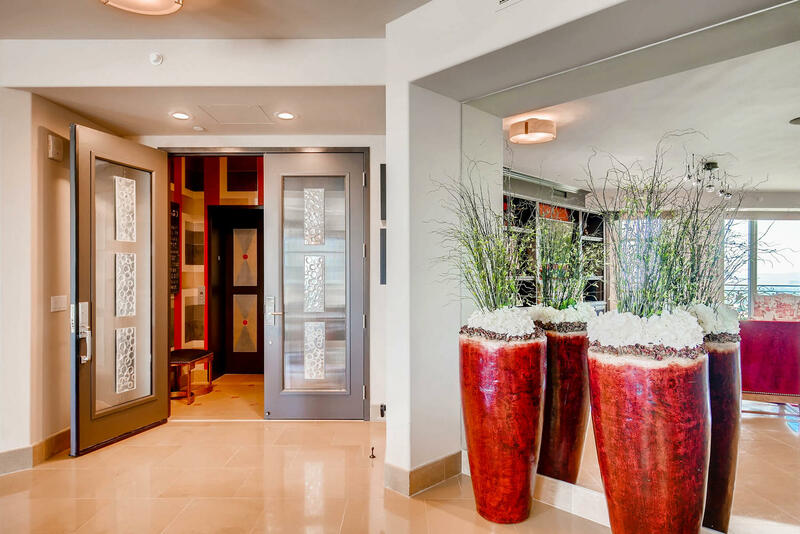 A combination of design and opulent high-rise living, 9101 Alta Drive #1402 is a marvel to behold. 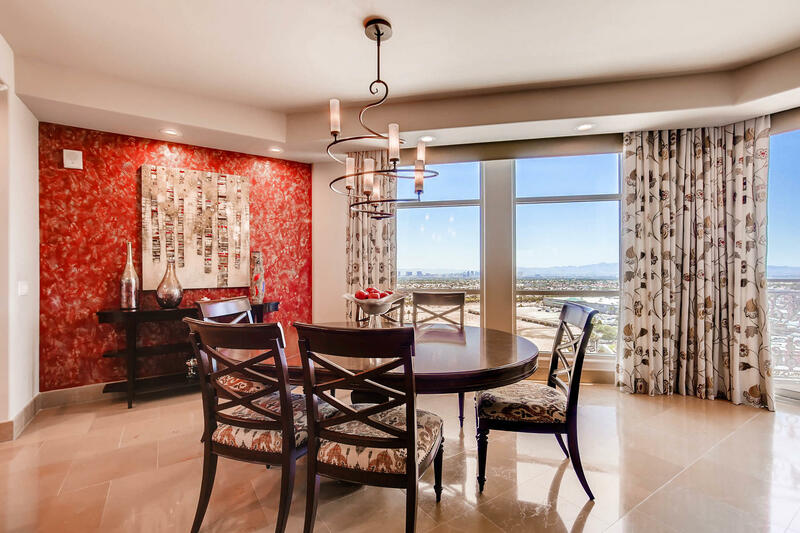 Over 3,800 Sq Ft of lavish finishwork awaits in this 14th floor home, with 3 bedroom, 3.5 bathrooms and much more. 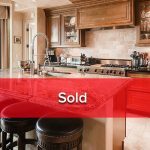 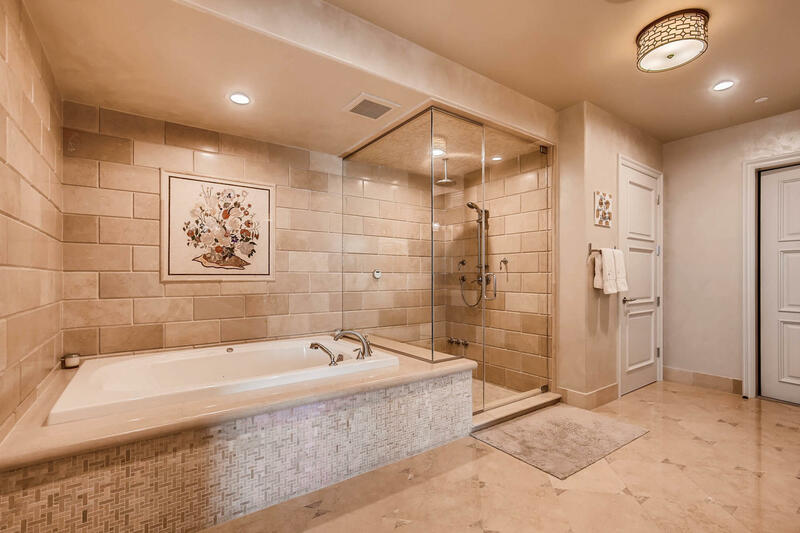 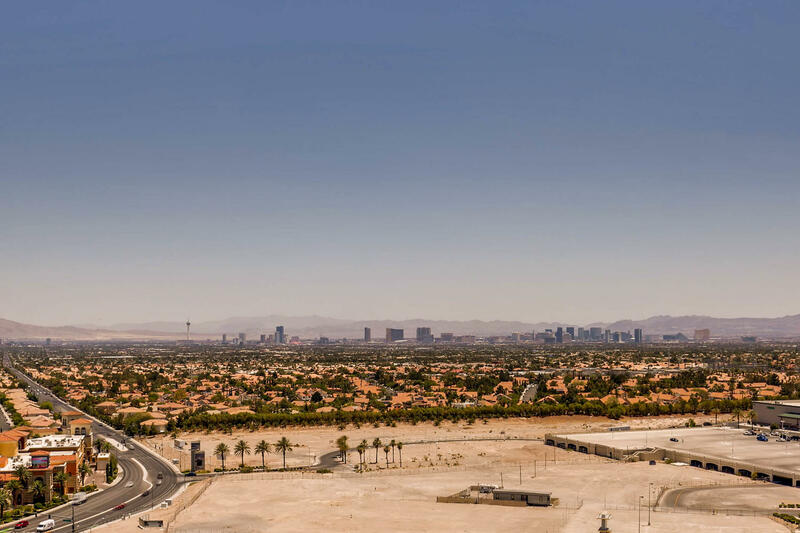 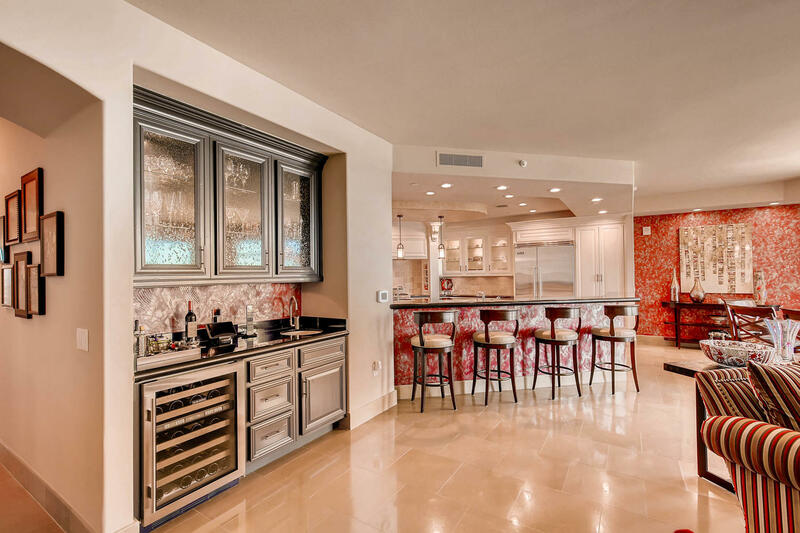 Finished in custom millwork, tasteful renovations and designer additions throughout, this residence is without equal even in a high rise development as prestigious as Summerlin’s One Queensridge Place. 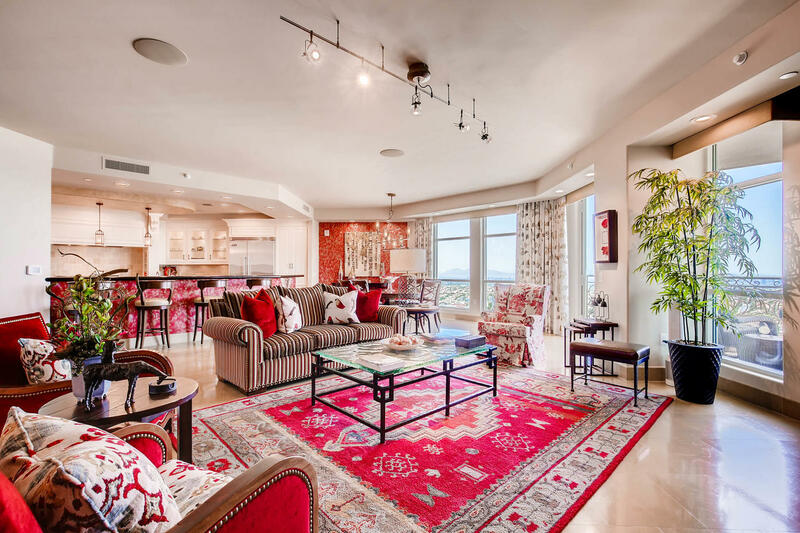 The main gathering area is where residents are sure to find themselves most of the time, as it is as welcoming as it is dramatic in style and size. 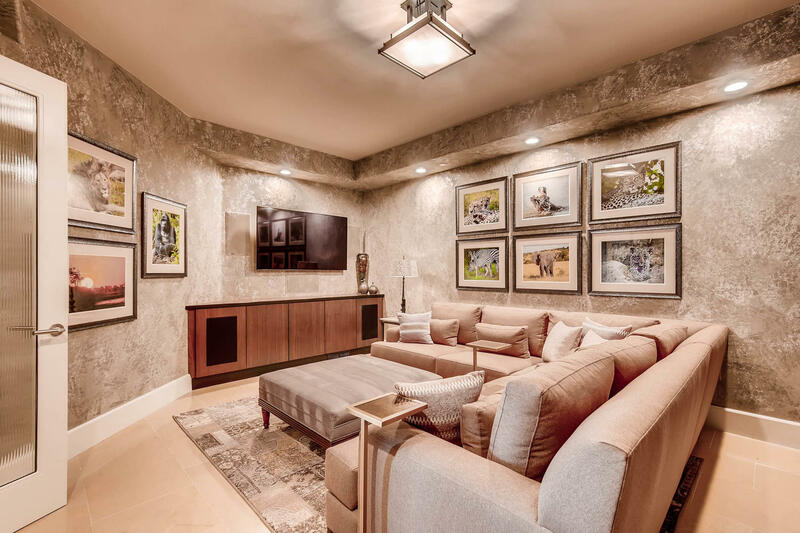 Custom encasements in the entertainment area and stand-alone wet bar are distinct in a muted, dark grey finish. 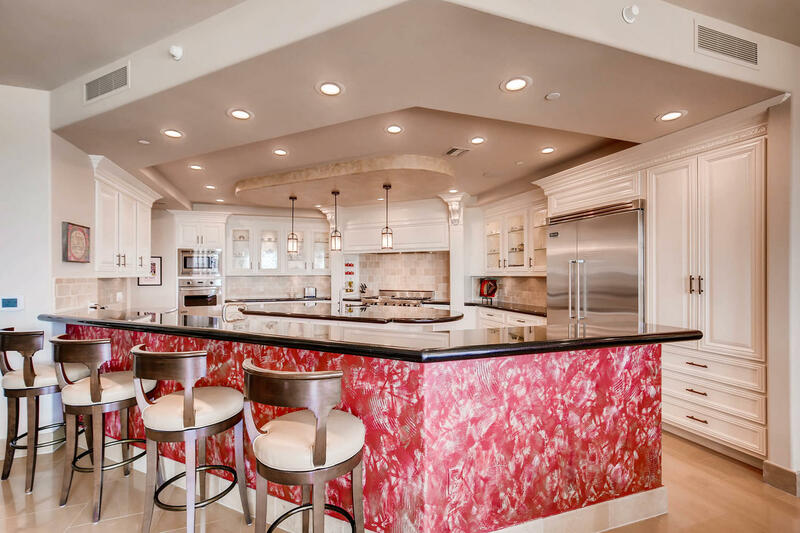 Elegant red accents can be found throughout, adding to this home’s designer appeal and execution. 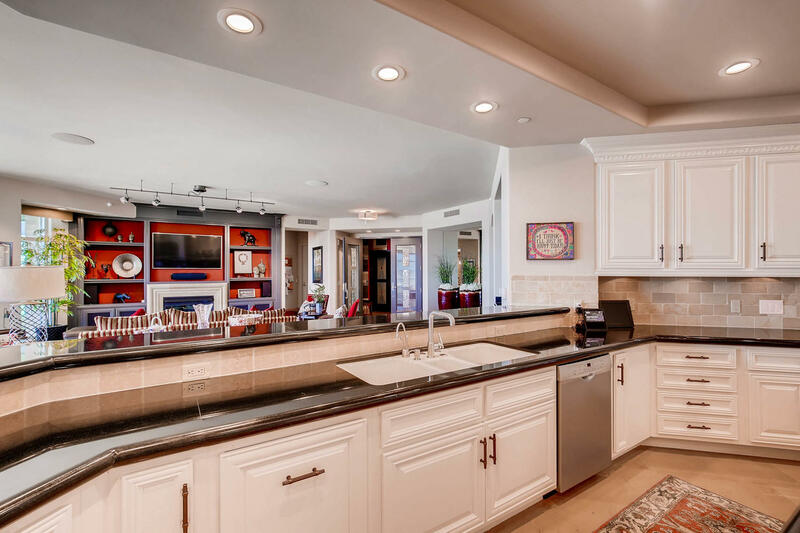 Situated on the highest floor that this floor plan can be found on, this home boasts tremendous views of the surrounding areas via large windows and terraces located throughout. 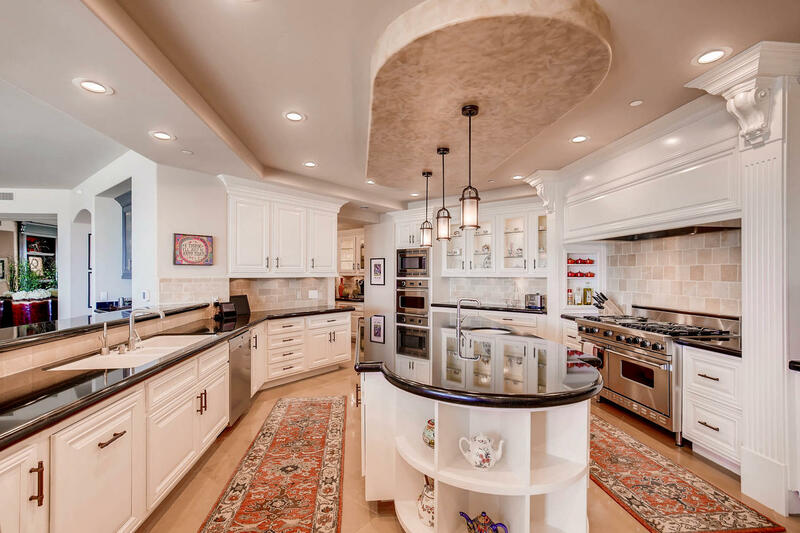 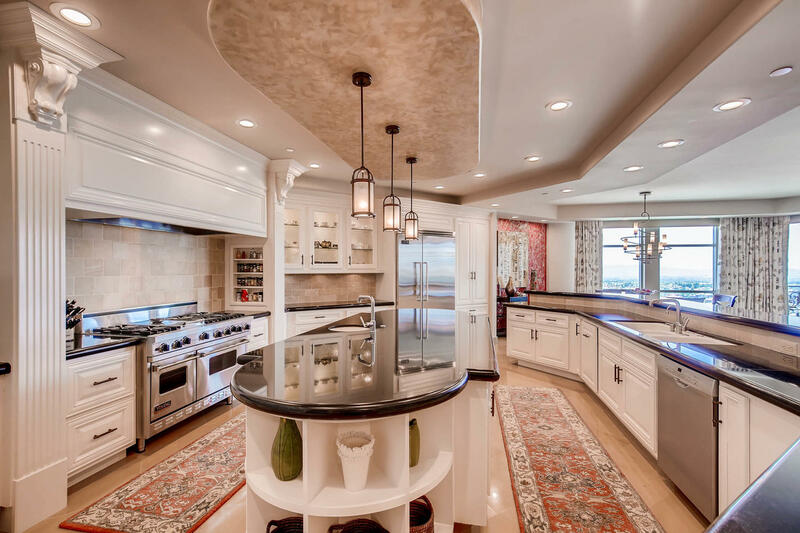 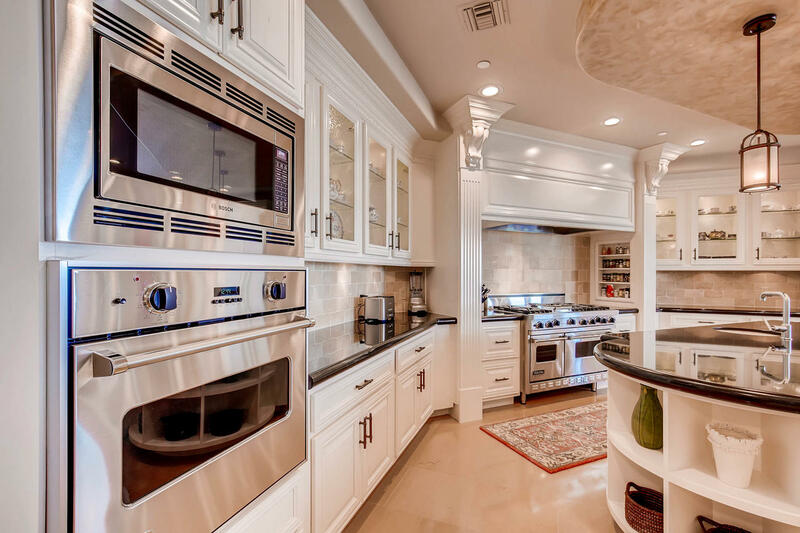 The gourmet kitchen is oversized, and wouldn’t be out of place in a fine European manor. 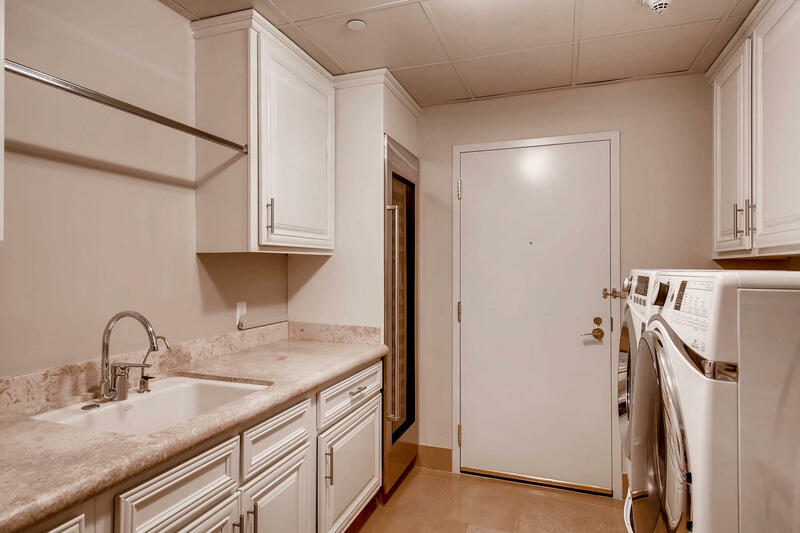 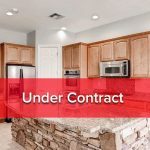 Boasting stunning crips cabinets, sleek black granite countertops and range-topping Viking appliances, you’ll be hard pressed to find a kitchen better equipped in any home- let alone a high-rise condominium. 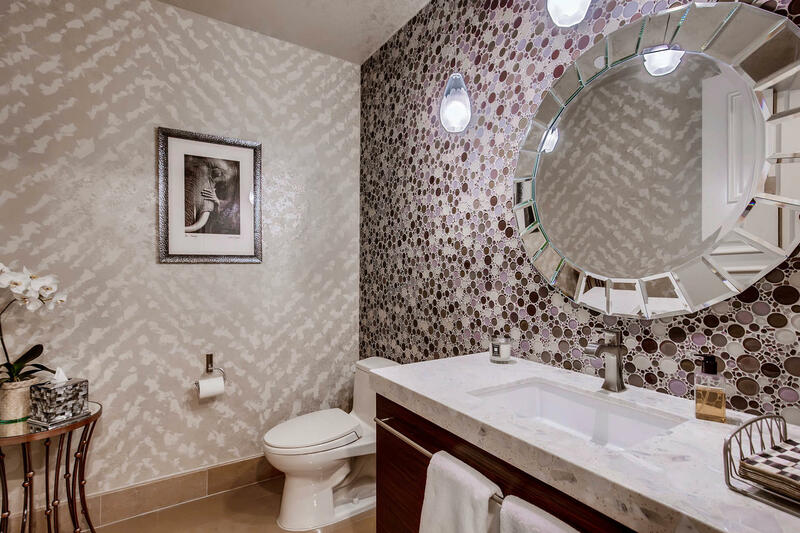 Just off the kitchen, a recently remodeled powder room can be found, along with a modern-designed den outfitted as a media room. 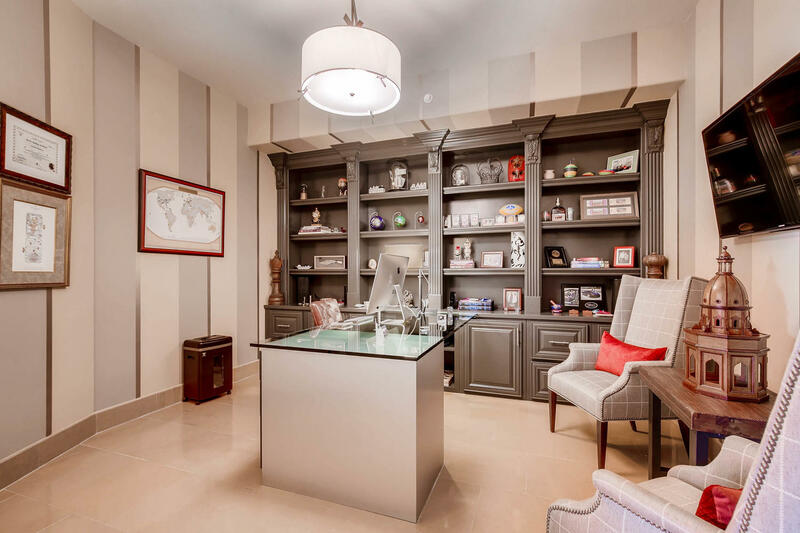 Just down the hall, your personal study, offering complementary cabinetry and plenty of storage space. 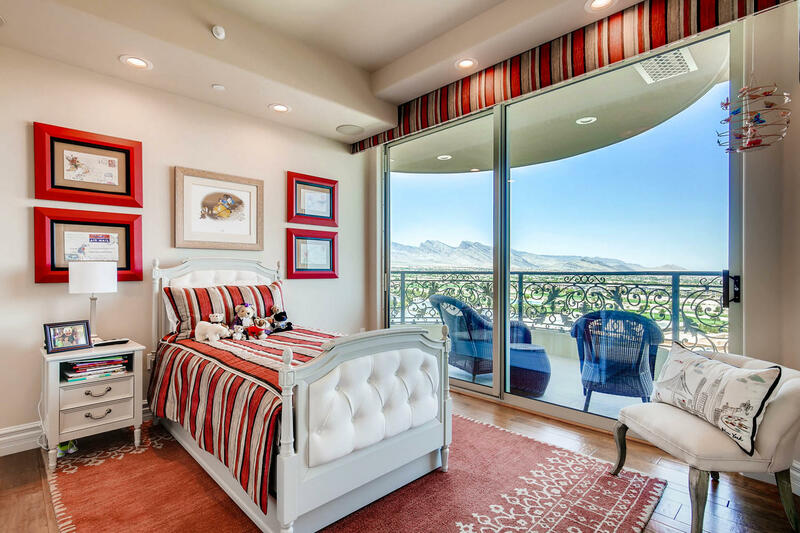 The master suite of this luxurious 14th floor home is nothing short of exceptional. 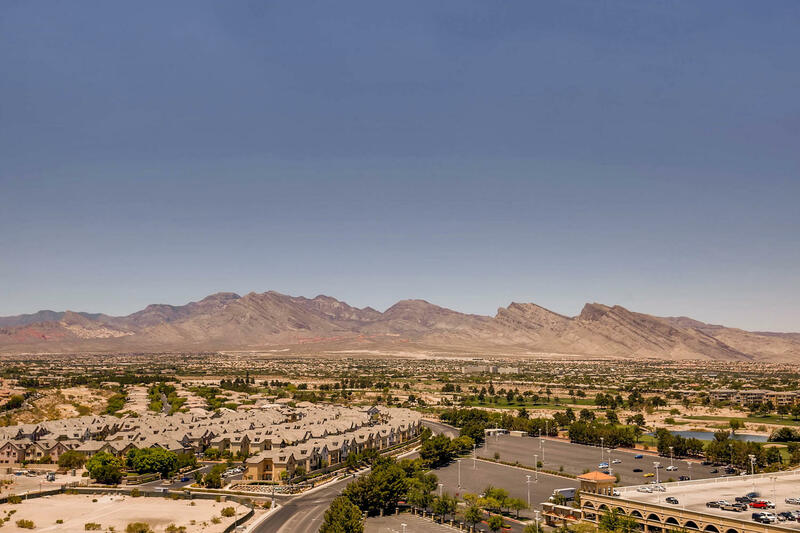 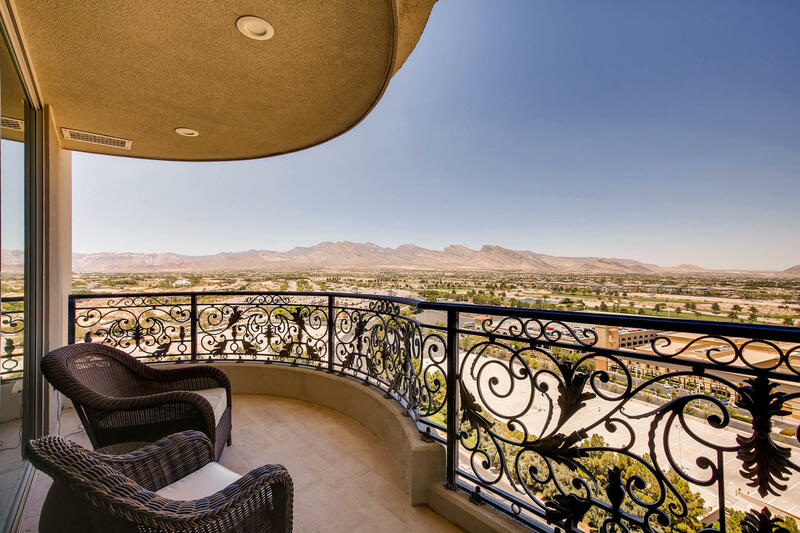 Terrace access affords residents stunning views of the nearby Red Rock mountains. 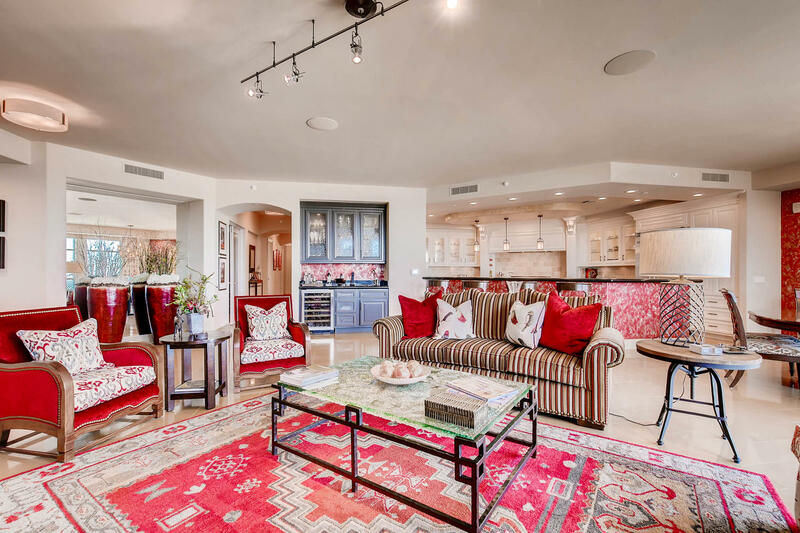 A spacious layout allows space for a desk or lounge furniture to create a retreat from the rest of the home. 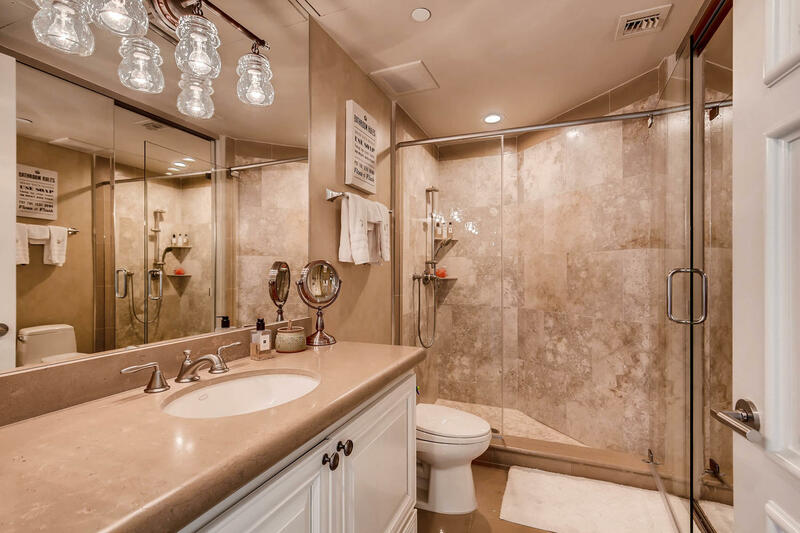 The master bath is finished in the finest stone slabs, and features complementary designer lighting to the rest of the residence. 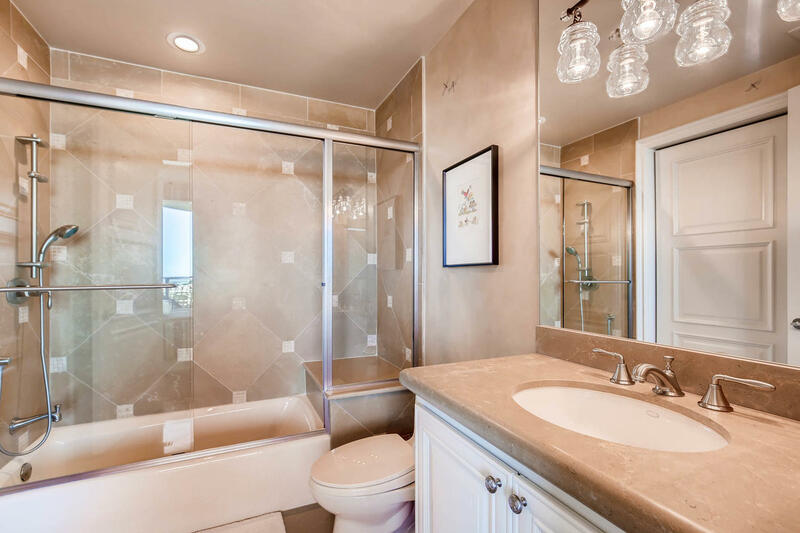 Other features include a walk-in shower and tub, large walk-in closet and along central make-up area. 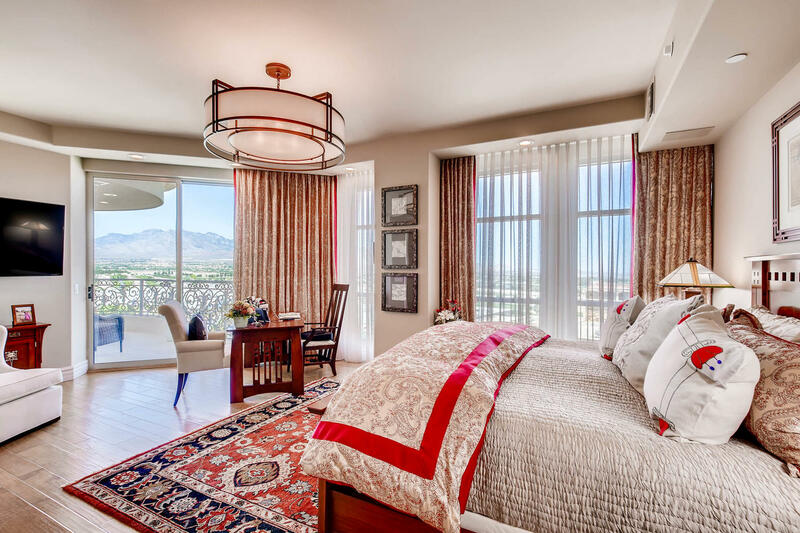 Each of the junior suites has it’s own unique configuration, also incorporating terrace access and oversized windows like the leading master suite. 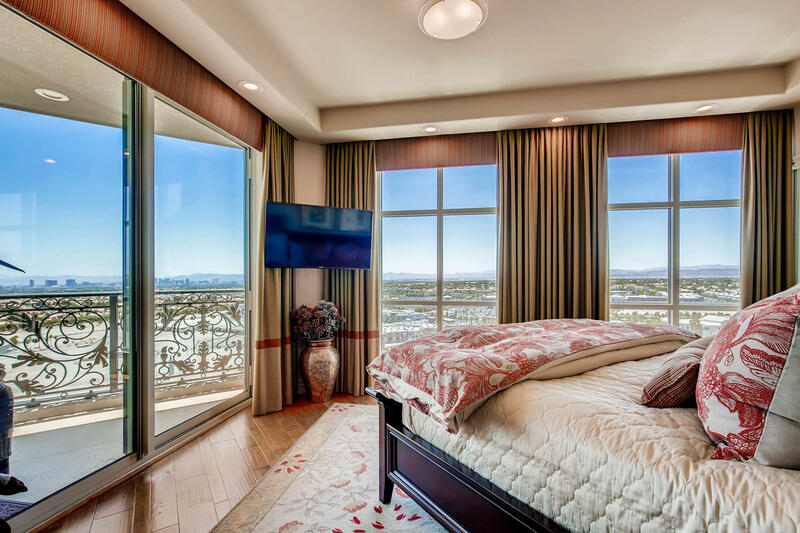 bedroom two offers expansive strip views, while bedroom three can additionally be setup as a second office space just off the master suite.